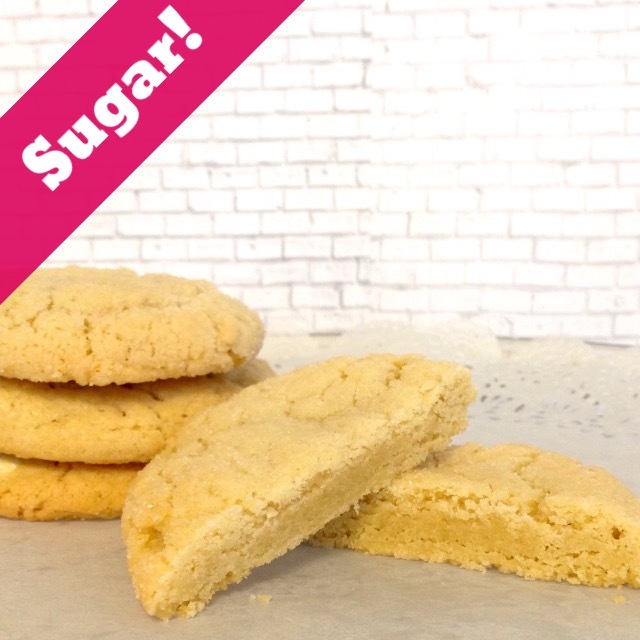 14 Cookies- Nothing like a good old fashion sugar cookie! A little sugar on top! For Pure Cookie Joy! 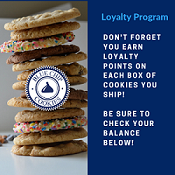 Our cookies have no preservatives, so we want you to receive your cookies within two shipping days. Each cookie is packaged two cookies to each Blue Chip Cookies’ proprietary cookie bag, the same flavor, so we don't mix in other flavors. Freeze for the Future: We make it easy to store safely and maintain freshness for up to 6 months when stored in the freezer right in their cookie bag. We recommend you leave them in the bag and freeze, to maximize freshness. Do not refrigerate. Take your cookies out of the freezer 15-20 minutes before serving to defrost or you can just microwave (take them out of the bag) and heat for about 12-15 seconds, warm and delicious. Order by 2 pm EST Monday-Wednesday, we will try to get it out that day! We ship Monday through Wednesday for arrival Tuesday through Saturday. We will send Thursday by special request. Please review our "Shipping Policy" on the right side above the shopping cart area. Are you planning for the future? No problem. Orders can be placed up to 60 days in advance! Nut Allergy Notice: Due to our cookie baking and handling process, all our products may come in contact with tree nuts or nut oils. Please be aware of this if you have any allergic reaction to these products. All products have major food allergens (wheat, milk, soy, eggs) and baked with exposure to Tree Nuts/Peanuts.